I don’t know what’s in Tim Hortons’ coffee but there must be an additive that makes some of their customers into irresponsible idiots. 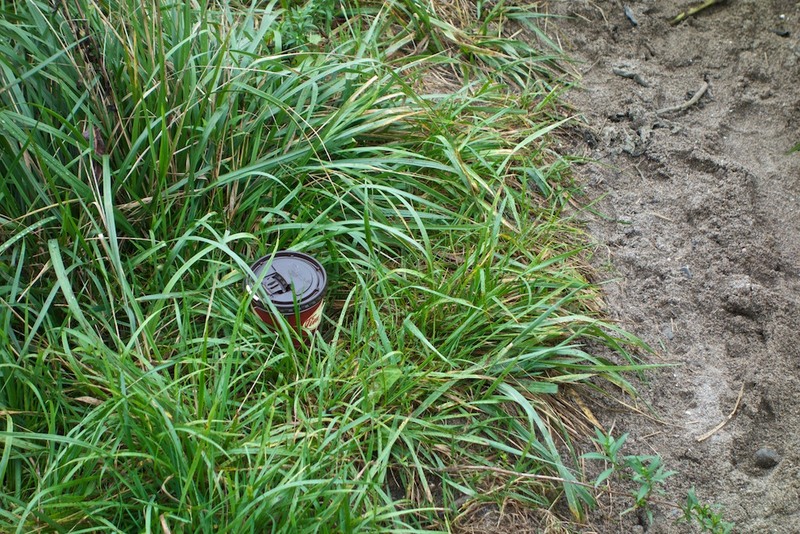 There’s a percentage of Timmies drinkers who seem to believe that nature will be enhanced by their discarded cup. Now naturally you would think that Tim Hortons being a responsible Canadian corporation would be horrified that some customers are cavalier with their Timmie Trash™. After all, their mission statement claims that ‘Our vision is to be the quality leader in everything we do.’ Given that, you might also think that the lid is made of biodegradable plastic. Wrong. Well at least the cups are paper and therefore biodegradable. Wrong again; they’re lined with plastic. Tim Hortons must know that a significant percentage of its customers are tossers and that these cups degrade the visual and natural environment. They then become the responsibility of the taxpayer through street and park cleaning. They must also know that their refusal to use recyclable materials increases the burden on landfills. Tims apparently doesn’t care. If they did care, they would provide a meaningful percentage of profits towards solving the problem. Back to our little nature lover who communed with nature this morning while enjoying a coffee. They had to pass a garbage can on the way out of the wild area. Even so, the thought of carrying the cup all the way back was too much and the cup had to be left for someone else (me). This entry was posted in Park Abuser and tagged Raymore Park, recyclable materials, Tim Hortons, tim hortons coffee, tossers on 2013/09/02 by Roy Murray.